Category: American historical "dark matter"
Grand theories of history often have less utility than the claims they make for themselves. Marxism is a classic example. But that does not mean that theories of history are useless. And arguably, Marxism is a classic example in this case too. 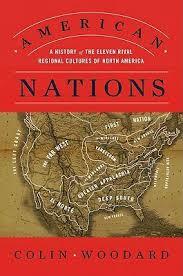 Material forces and class conflicts can’t explain all of history, but they do explain some of history. 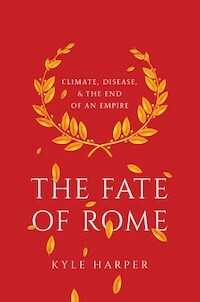 Chris Wickham’s magisterial Framing the Early Middle Ages: Europe and the Mediterranean, 400-800 suffers from its excessive materialist and economistic thesis, but it also benefits from this perspective, because it captures part of the answer. Moderation in all things, and due consideration to the importance of viewpoints in coloring perceptions, are the keys to comprehension in my opinion..
Today in some quarters it is fashionable to reduce all of history to the interplay between white supremacy and nonwhite peoples, who are depicted implicitly as nearly supine “noble savages,” existing in an Edenic state of nature before the intrusion of European peoples. This is a silly viewpoint from a scholarly perspective, and some of the ideological implications are ones which I object to most strongly. And yet that begs the question, how does one understand the forces of history? 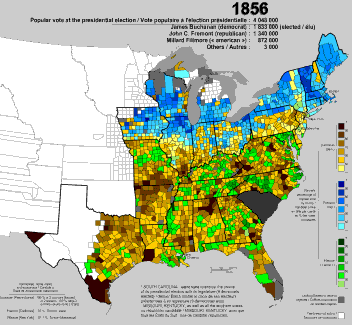 In the American context, I think it is critical to understand the elementary regional folkways which congealed into these United States, and whose “cultural DNA” echoes down through the generations. Much of this is implicit and invisible culture because it is the culture of white English -speaking peoples of British provenance (though not all were Anglo, such as the French Canadians or Hispanos of the southwest). 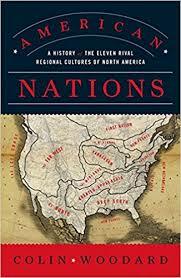 Recently, Colin Woodward’s American Nations: A History of the Eleven Rival Regional Cultures of North America is the best example of this sort of work, which attempts to trace the historical dark matter the skeleton beneath the flesh. 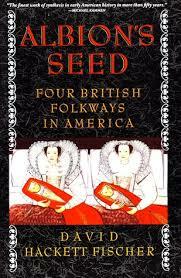 A more scholarly and narrow treatment can be found in David Hackett Fisher’s expansive Albion’s Seed: Four British Folkways in America. 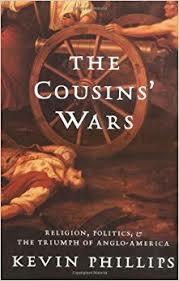 Finally, perhaps the most underrated and overlooked offering in this genre is Kevin Phillips’ The Cousins’ Wars: Religion, Politics, Civil Warfare, And The Triumph Of Anglo-America. While Woodward focuses on all of North America, and Fisher more narrowly on the four folkways which extend from New England to the Deep South, Phillips’ integrates an American history with a broader narrative that shows the connections to events and processes occurring in the British Isles, and in particular England. The peculiarities of New England culture and economics, and their love-hate relationship to the British elites of the late 18th and 19th century, are critical pieces of the puzzle in explaining how the United States diverged from the United Kingdom, and, how the United Kingdom diverged from the United States. 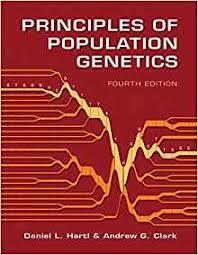 If an understanding of population genetics allows one to decompose evolution and broadly biological phenomena into tractable analytic units, so an understanding of the elementary units of American culture, and their historical antecedents, shines a whole new light upon contemporary developments.